We want to get your roof back on track with our commercial roof repairs! While many of us like the water and snow in order to keep our plants healthy, it’s another story entirely when we need a commercial roof repair at the result of these precipitous materials! Commercial roof repairs can come on suddenly, like roof repairs due to storm damage, or gradually, like a roof simply aging out. No matter which camp you fall into, when you are in need of a commercial roof repair, we want to help you in the area of Midhurst, Ontario. When you call us at Slippery Slope Roofing for your commercial roof repair, one of the first things you’ll notice is our professionalism. Many of our customers are pleasantly surprised by our efficiency, work ethic, and ability to leave a job site as clean as it was when we arrived. In addition to our stellar work ethic, you’ll notice that we provide top-of-the-line materials, fair pricing, safe strategies for our employees, and many other benefits that you’ll enjoy for the lifetime of your commercial roof repair. Instead of worrying over your commercial roof repair, we want you to give us a call here at Slippery Slope Roofing. Our team can help ensure that the new materials are installed in such a way that they will comply with the manufacturer’s warranty, ensuring an extra level of protection for your commercial roof repair. 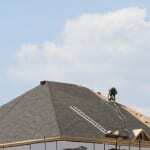 If you are in need of a commercial roof repair, we want to be of assistance here at Slippery Slope Roofing. Don’t wait- contact us today for a quote! At Slippery Slope Roofing, we offer high-quality commercial roof repair services in Barrie, Orillia, Bradford, Alliston, Newmarket, Midhurst, Cookstown, Beeton, Innisfil, Angus, Collingwood, Wasaga Beach, Oro-Medonte, Midland, New Tecumseth, Clearview, Bradford, Essa, Stayner, Springwater, and surrounding areas of Ontario.